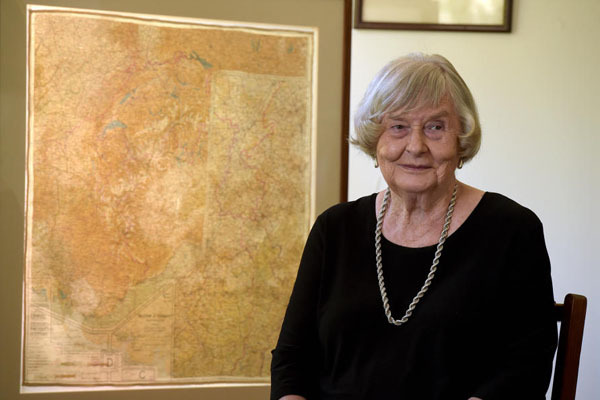 Victorian communities keep alive wartime stories through their mementoes and keepsakes. As the War Heritage Roadshow travels across the state we will attempt to tell some of these important stories. Australian fighter pilot Ewen Milliken wore a silk-like rayon scarf around his neck every time he went up in his RAF Typhoon, harrying German forces a they retreated first from Belgium and then into Germany itself during the closing stages of Second World War. To read more about this story, visit the recent Pursuit article, Lest we forget: Storing precious memories. Dr Sue Olney, a University of Melbourne staff member, brought in a 'Sister Susie Shirt' wash bag, made at school by her grandmother, Joyce Cairns when she was only ten years old. 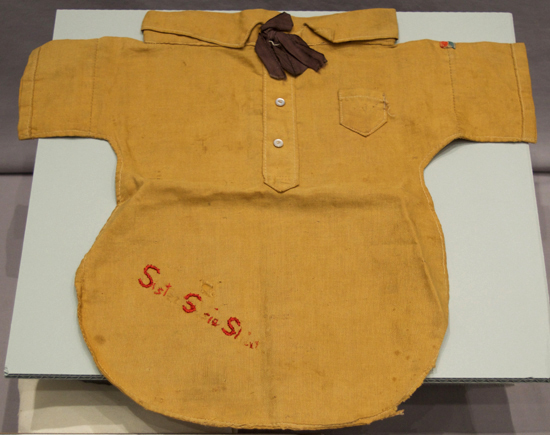 The 'Sister Susie Shirts' were given to First World War diggers to store their socks and soap, with the sleeves and bottoms of the shirt sewn up to make a wash bag.